"Thereâ€™s a tendency to see the myriad issues of waste management as a simple tug of war between environmental ideals and economic efficiency but the approaches, and concepts are infinitely more sophisticated and innovative." "The purpose of the project was to conduct original research on the skills needs and projected employment demand of the regional economy over the next ten years... The project was tasked with making recommendations on labour force development activities to maximize regional employment opportunities to meet future skills demands, and reduce unemployment and underemployment for populations with barriers to employment." The Capital Region Housing Data Book is the first comprehensive collection of data related to housing in the capital region. The book is modeled on the Metro Vancouver Housing data book and provides detailed data for the capital region as a whole, and for each municipality and Electoral Area on population and income distributions related to housing, housing market indicators, and housing need with focused sections of housing choices for renter households, and housing choices for owner households. Each thematic section of the Data Book provides a description of the data being presented and a summary of the most notable findings. 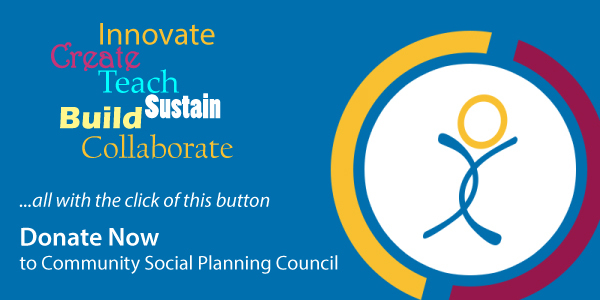 The Community Social Planning Council of Greater Victoria (CSPC) is excited to be working with the Vancouver Island Social Innovation Zone (VISIZ) to host the Vancouver Island Social Finance Forum on April 5, 2016 at the Ambrosia Centre. Social finance is a growing practice across the globe that includes community investing, microfinance, social impact bonds, sustainable business, and social enterprise to address critical social issues. Outcome-based philanthropic grant making and program-related investments sometimes referred to as venture philanthropy, also fall under the umbrella of social finance. These approaches to investment and funding share the twin focus of stimulating positive social and environmental returns for investors and the larger world. 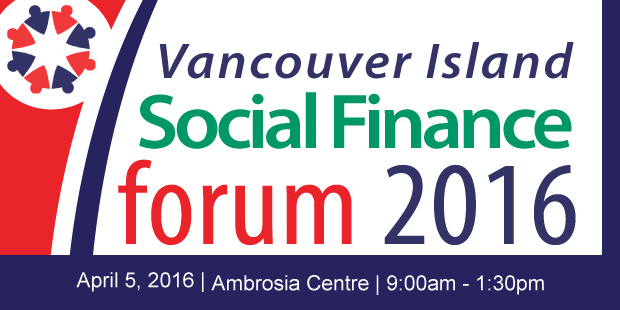 As of now we have over 40 registered key stakeholders and leaders in the social finance sector on Vancouver Island and Gulf Islands. Attending guests include members of financial institutions, community investments, loan funds, and many more. This networking event will provide a great opportunity to connect and share valuable knowledge in order to work together towards strengthening the sector. If you would like to attend please register below, before itâ€™s too late! Margaret Critchlow, Ph.D. 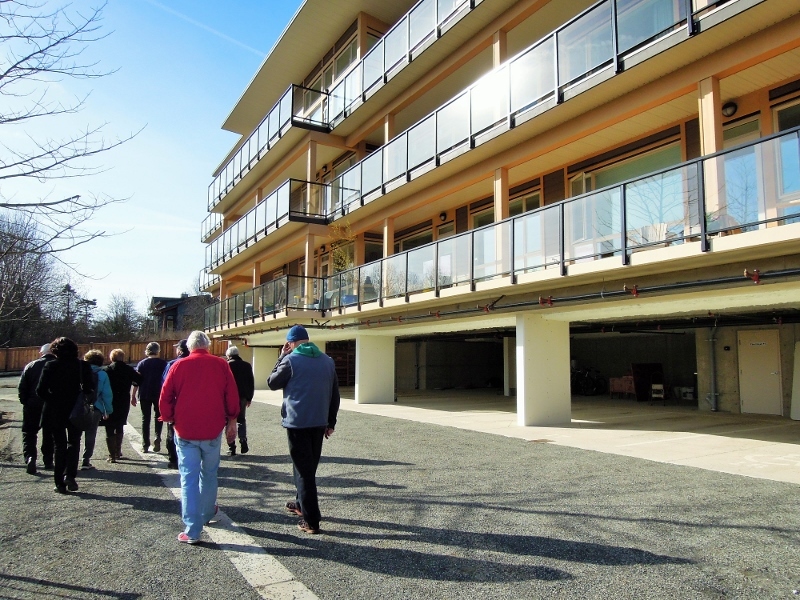 Founding member of Harbourside Cohousing in Sooke is facilitating a 2-Day Workshop, "Is Cohousing for You?" Click here for more information or to register. 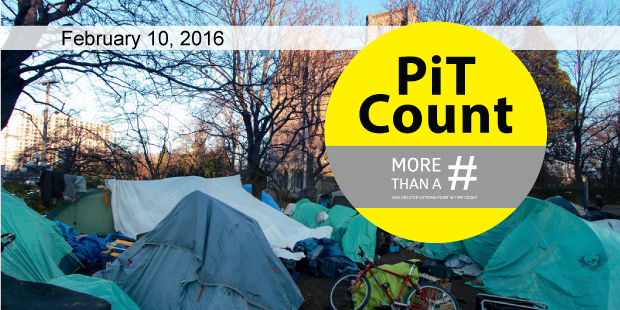 The 2016 Greater Victoria Point in Time Homeless Count, a survey of those experiencing homelessness, happened in Greater Victoria on February 10th from 12:00pm to 12:00am. The Capital Regional District contracted the Community Council to coordinate the count and report on the findings. Close to 200 volunteers worked on the Count on February 10th. Some volunteers helped at the Count Headquarters at Victoria City Hall. Many other volunteers surveyed people experiencing homelessness in some specific day programs, emergency and transitional shelters, and surveyed people who werenâ€™t sheltered on that night. In total, 453 people experiencing homelessness were surveyed on Feb 10th; 199 participants were staying in some type of emergency or transitional shelter, and 254 indicated they were not sheltered that night. These are preliminary numbers only. We are still gathering all of our data together and will release the final numbers in early spring. The 2016 Greater Victoria Point in Time Count is part of a Canada wide project with over 30 participating communities across Canada using the same survey tools and methodology to collect information on peoplesâ€™ experiences of homelessness across Canada. The project is funded by the Homeless Partnering Strategy of the Government of Canada. Check out the new YPQI webpage: http://communitycouncil.ca/YPQI_Home for the latest info about our Greater Victoria Youth Program Quality Initiative (YPQI). Read the factsheets to find out what the YPQI is and how it's supporting youth mental health and community development in our region. And join the 40 organizations who, since 2012, have made quality youth programming a priority. Please consider a one time or monthly donation through CanadaHelps. You will receive an instant receipt for tax purposes. . Copyright Â© 2016 Community Social Planning Council, All rights reserved.